Ryan, Jennifer. The Chilbury Ladies' Choir. New York: Crown, 2017. This is the story of how the village of Chilbury coped with World War II. Many of the men were at war. The ladies, inspired by a newcomer to the community, organized a choir when there were not enough men to continue the parish choir. No single woman is singled out as a narrator. Instead it is told through the voices of several women, often in letter form. This format often fails to deliver, but Ryan made it work. The narrative includes incidents of village life as well as personal ethical decisions. The bombings touch home for the villagers. It is not quite as "homey" as some novels focusing on village life, partially due to the time in which it is set, but it probably paints a more realistic portrait of it. Enough humor is interspersed to make up for the occasional unpleasantness. This review is based on an electronic galley provided by the publisher through NetGalley for review purposes. Mack, Doug. 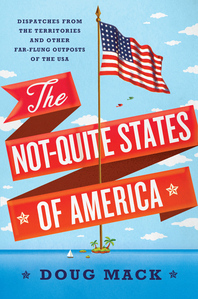 The Not-Quite States of America: Dispatches from the Territories and Other Far-Flung Outposts of the USA. New York: W. W. Norton, 2017. This combination travelogue and history presents a fascinating look at territories owned by the United States. Mack took trips to the U.S. Virgin Island, American Samoa, Guam, the Northern Marianas, and Puerto Rico where he commented on the culture and infused it with a bit of the history of the islands. Readers get a sense of what each of these islands are today, but the book is not quite what I expected. Many of these territories are over-commercialized; some are not. I appreciated the historical parts more than the travelogue portions, and I sincerely wish more attention to what the culture was like at the time the territories were acquired so readers could compare it to what the United States was like at that time and then draw present-day comparisons based on a number of factors. Mack points out few Americans really know much if anything about the territories. His book was designed to bridge that gap for himself and somewhat for his readers. While I'm glad I read the book, I am interested in reading other books about these territories which may be more aligned with my own interests. For example, Mack focuses on the economy and on political factors, but rarely addresses religion which is a strong interest of mine. Fortunately Mack includes a brief bibliography of other materials at the end of the book for those who want to delve a bit deeper. An advance review e-galley of this book was received by the publisher through NetGalley for review purposes. 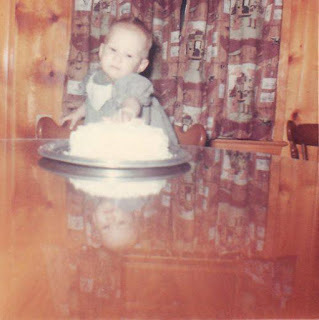 Birthdays are not quite they once were.When the above photo was taken, my mother lovingly baked the cake. My dad and two brothers were around to help celebrate. This year Mom and Dad are both gone as well as one of my brothers. The other brother is over 6 hours away. None of my friends are available to help me celebrate so I'm all alone. If I want a cake, I must either bake or purchase my own. What good is a cake without someone with whom to celebrate? I certainly don't want birthday cake for the next 3 weeks (if it would even keep that long). I'm even working on my birthday. A lot of my friends are going to Ballet Magnificat, but they are leaving before I'm off work. I won't be celebrating that way. I decided what I really wanted to do was go eat at Red Lobster. (Garlic shrimp scampi and cheddar bay biscuit craving!) I reached out to friends, but none were available. So now I get to try to celebrate my birthday all alone. As the timeline posts are probably at 100 or more (if you count the ones done as comments) and will probably exceed 200 or even 300 by day's end, the real card count is at one and the e-card count is at one (from an e-card company instead of an individual). Birthdays just aren't the same after your Mom is gone. I miss her!